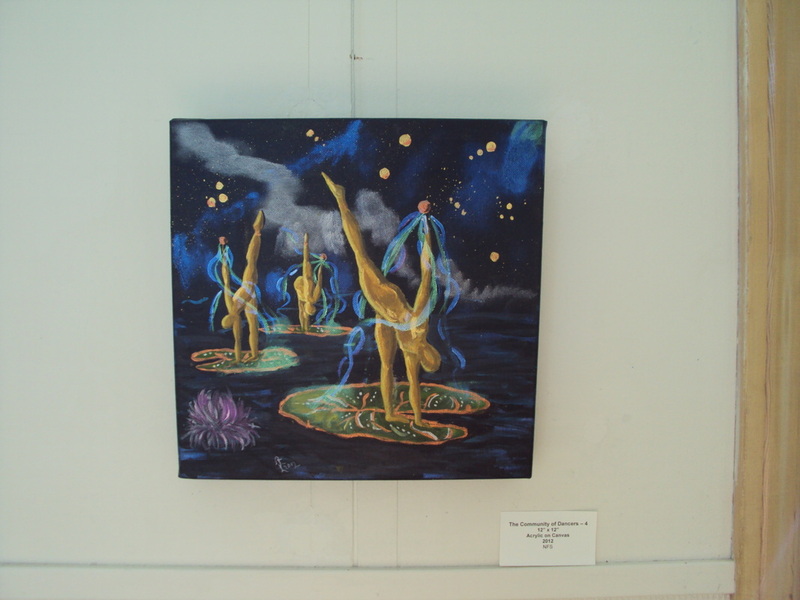 I would like to thank the Dauphin Public Library for having my work in your library from November to December 2018. I enjoyed sharing my work with those visiting the premise. Thank you for hosting the reception and artist talk on November 20th as well. 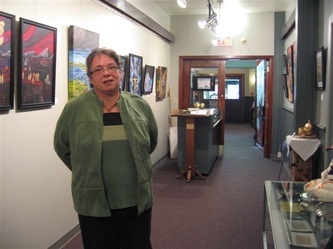 Thank you to the Portage and District Art Centre for showing my work in your gallery. The Past Eight Years is a collection of work that I've done in the past 8 years. This collection allows the viewer to get to know me a little better as an artist. Two pieces were selected by their committee to be displayed in their corporate office for a period of one year. 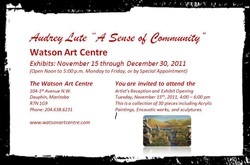 I would like to thank the Wasagaming Community Arts Inc. gallery for selecting my work to show entitled "A Sense of Community". 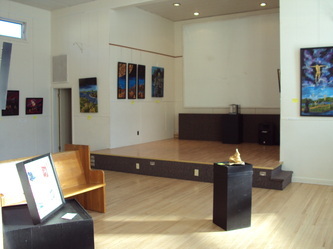 Wasagaming Community Arts Inc. is situated in Riding Mountain National Park (Clear Lake). 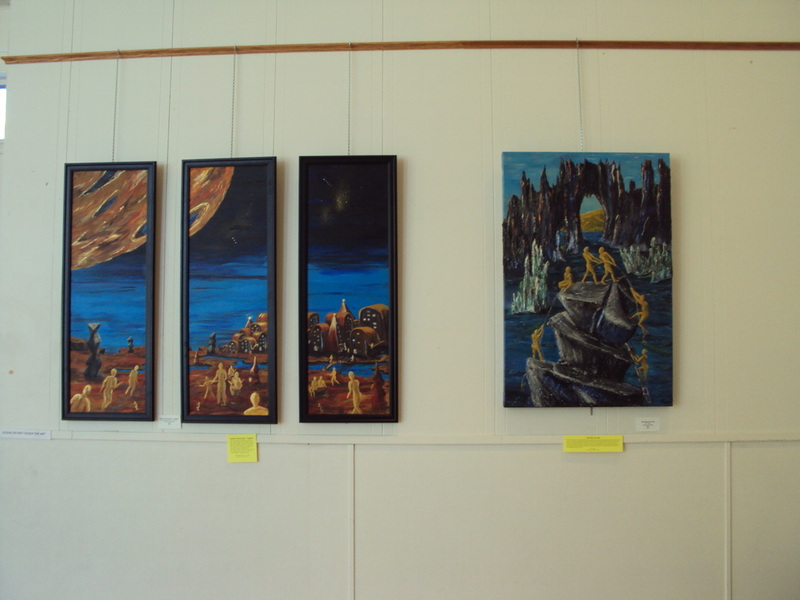 Six specific pieces were jurored in by their committee to be displayed in their corporate office for a period of one year. 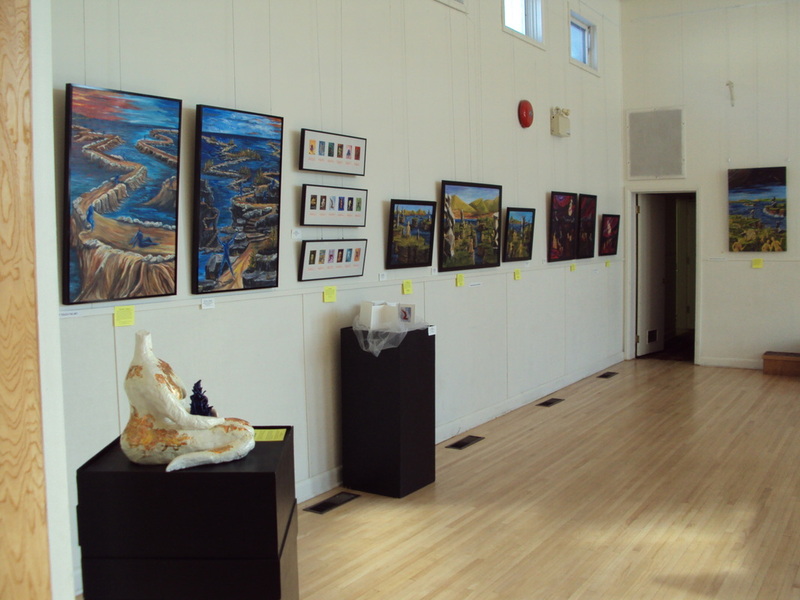 The 11th Annual Rural & Northern Art Show ran from September 9 to October 6, 2013 at Assiniboine Park's Pavilion Gallery Museum. The Pond and Beyond series had group entitled "The Family Ograts", showing here as well as was Diorama. This series is being worked on and will continue to grow. Once all the pieces have been completed I hope to show the exhibit as a solo show. 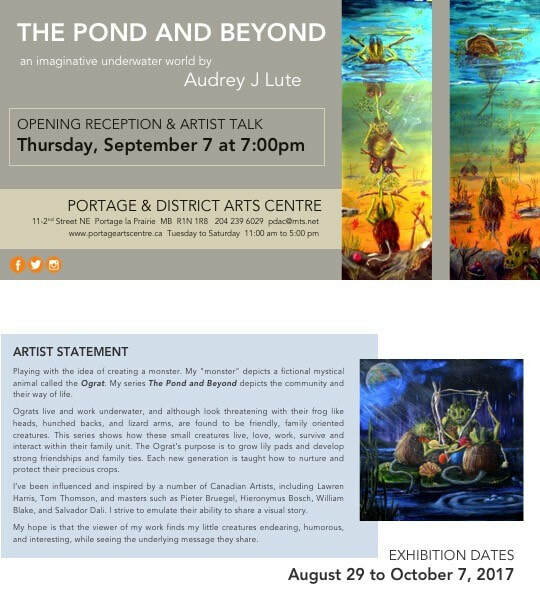 At the Winnipeg Art Gallery Student Show, you will find two pieces from "The Pond and Beyond" series. 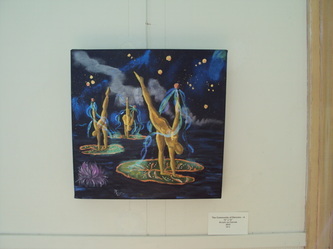 I had a paintings and a small part of the diorama on display. March 2013, I was part of a Group Exhibit "Journey by 6-7-8" that was on display at the Icelandic Museum in Gimli Manitoba. This was an introduction of my new series entitled "The Pond and Beyond". 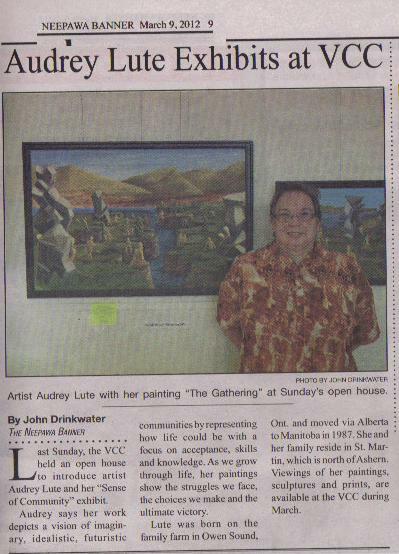 It was a wonderful experience and I would like to thank MAWA, and the Manitoba Arts Network for the opportunity. Also I would like to thank the Museum for hosting the Exhibit. 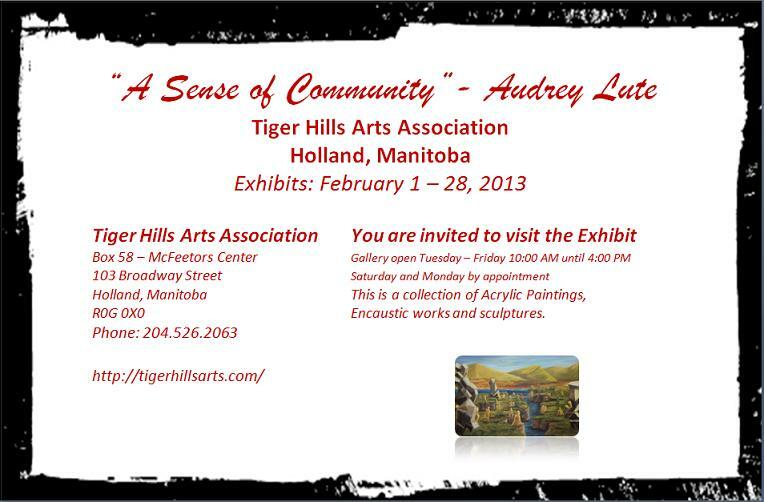 It was wonderful to display work in the Interlake Region. August 2, to the end of September 30, 2012.
it to your community. Thanks goes to all those that dropped by to view the exhibit. 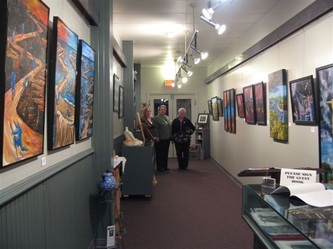 Thank you to the Manawaka Gallery for displaying my work in your Gallery this past month. I was excited to have an opportunity to bring it to your community. 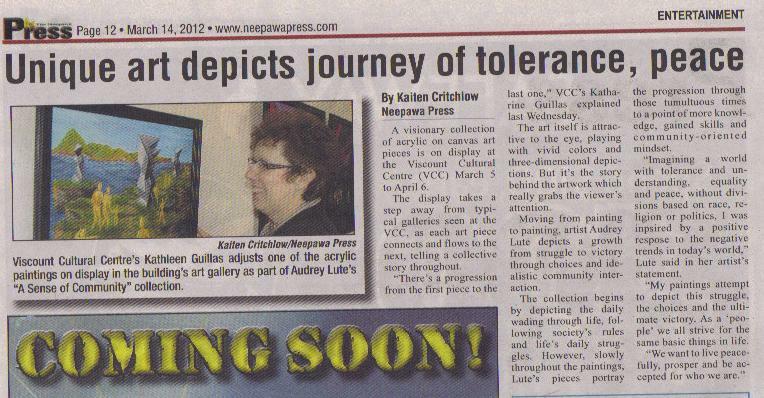 Thanks goes to all those that dropped by to view the exhibit, and for the wonderful comments and encouragement. 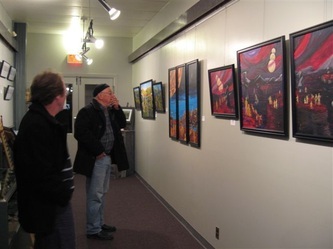 Thanks to the Watson Art Centre in Dauphin for the opportunity to show my work in their Gallery, and all those who came to see my first Exhibit. Had a great time.